Friday is my 29 again birthday-you do start counting backwards after you hit 30 right?? Anyways, my list of items I'm crushing on is consistantly growing so I thought I would share some of my top favorites that would make any birthday girl smile including one splurge item. 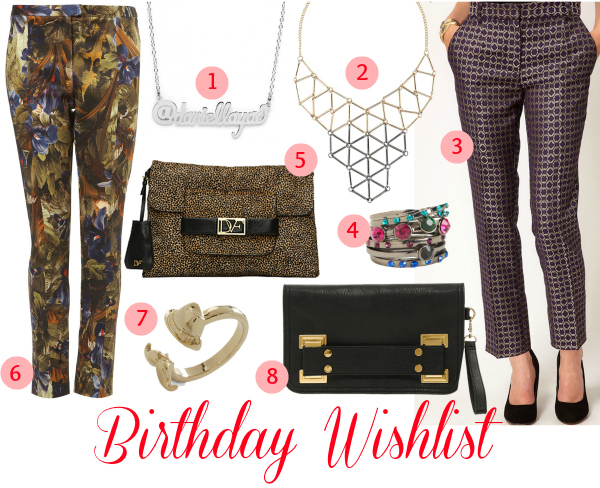 Oh and of course the birthday girl needs a birthday dream outfit all by Ann Taylor of course. Have you checked Ann Taylor out lately? I'm in love with the new Fall 2012 line and those Bianca heels have to be mine someday. i would seriously take anything of this birthday wish list! great taste.